characters / 1176 words) Consumers tend to judge businesses by the state of their bathrooms. Nice bathrooms reflect well on businesses, while shabby bathrooms do not. Businesses that keep up with the state of their bathrooms may find it easier to attract new customers and keep old ones at the same time. While performing maintenance is an important part of keeping up with a bathroom, it's just as important to keep the fixtures, tile, and flooring up to date. Many businesses will remodel their bathrooms when fixtures start to look dated or when the plumbing starts to break down regularly. When considering a contractor’s bid, doing your research is critical. To find the right contractor, one must consider a variety of variables including references, experience, licensure and cost. The bigger the project, the more important it is to conduct thorough research. Looking online, meeting with various general contractors and contacting references are all ways that you can conduct their research. At Litchfield Builders, we encourage the homeowners of New Haven and the surrounding area to shop around and take an organized approach when it’s time to hire a contractor. Contacting a variety of general contractors and professionals can help you find the right contractor for your upcoming project. Business is looking up this spring, and that means growing businesses are looking for ways to update their shop or office space. And they have three key considerations when looking at Connecticut commercial remodeling ideas: boosting productivity, saving energy and keeping costs down. Business remodeling is the best way that you can keep your commercial property looking and performing at its best. Not sure where to start? Nothing gives away the age of your building like a rundown or out-of-date commercial bathroom. If the restrooms in your facility are more than a few decades old, it may be time for an upgrade. In the most recent issue of Foodservice Consultant Magazine, readers will find an exciting piece on Maison Mathis Yale including a quote from our very own, Kevin Ahern. Many business owners are concerned with ensuring that their employees have everything that they need to work efficiently. Supplies are easily at hand, sales materials are quickly available, etc. but one area that is often overlooked is the layout and design of office space. In recent studies, 90% of workers have said that the layout and design of their workplace directly affects their productivity. Additionally, as many as 35% have said that they are ashamed to bring clients to their office. Below are just a few of the ways remodeling your business office can help increase your employee efficiency. In this day and age of convenience and technological luxury, touchless bathrooms are becoming more and more common. For business and property owners who have older bathrooms on their premises, making the switch to a touchless bathroom may involve major commercial construction. 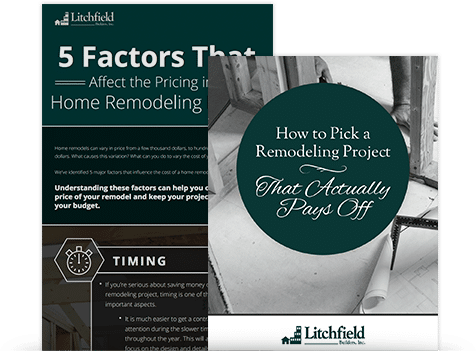 Bathroom remodeling is not cheap and some property owners may be hesitant to incur such costs, but in the long run, this upfront cost can save you a great deal.